After winning three match in a row, India lost the fourth ODI against New Zealand by 8 wickets. New Zealand won the toss and opted to bowl first, India were then bundled out for just 92 runs. In absence of Virat Kohli, Rohit Sharma was given the charge of the Indian team but his teammates couldn’t deliver. Openers Rohit Sharma and Shikhar Dhawan had a bad start as Sharma was bowled and caught by Trent Boult for just 7 runs. Shikhar Dhawan was lbw by Trent Boult at 13 while debutant Shubman Gill was bowled and caught by Trent Boult for just 9 runs. Dinesh Karthik and Ambati Rayudu were dismissed for duck by Colin de Grandhomme while Kedar Jadav was lbw by Boult for just 1 run. Hardik Pandya couldn’t prove himself with the bat as was dismissed for just 16 runs. In contrast Yuzvendra Chahal was the highest run-scorer for India as he made 18 and stayed not out. 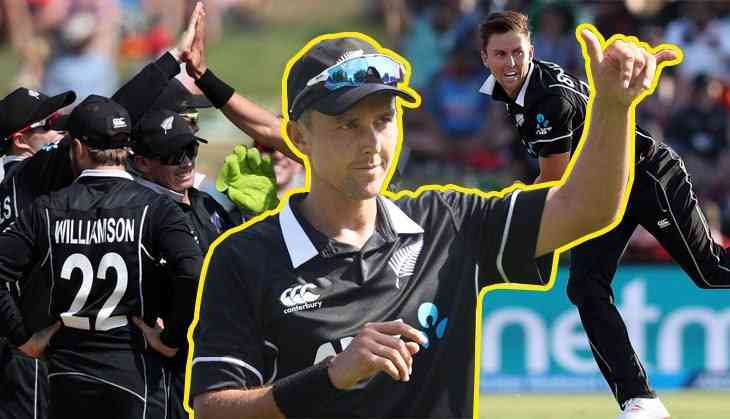 Trent Boult took a five-wicket haul in the 10 overs he bowled, giving away just 21 runs. Colin de Grandhomme took 3 wickets in 10 overs and gave away just 26 runs. For New Zealand opener Henry Nicholls and Ross Taylor took the Kiwis to the finishing line after Martin Guptill was dismissed by Bhuveneshwar Kumar for just 14 runs, while skipper Kane Williamson made on 11 before he was caught behind by Dinesh Karthik in Kumar’s over. Kumar took all two wickets for India as rest of the bowlers failed to deliver.